We help you create personalized letters from Santa Claus at home! To create your letter from Santa, click the button below to choose the basic free Santa letter or one of the colorful Premium North Pole Santa letter packages. Then add your child’s information. You’ll receive a link to print your letter immediately! The basic letter includes your child’s name in a standard form. The premium packages allow you to choose from several letter options and include an envelope design and a Nice List certificate that you can also print at home in minutes. We make it easy to bring the magic of Santa home! We hope your enjoy visiting this site. Our goal is to bring Christmas cheer to families everywhere by making it easy and affordable for everyone to create a letter from Santa Claus. We offer both free and premium options to fit your needs. Free letters allow you to personalize your message from Santa by adding your child’s name to a standard greeting, while the premium options allow you to choose from several letter options and add other personalized information. 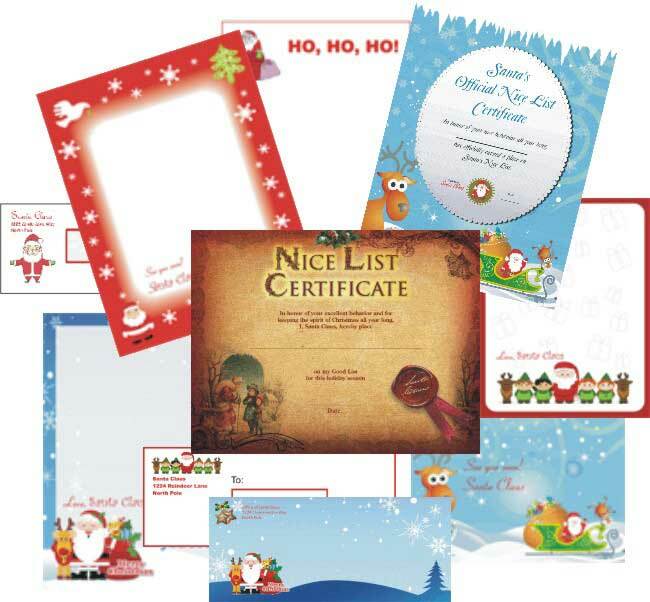 Premium Santa letters also come with Nice List certificates and envelope designs. All letters are immediately available to print at home so it’s never too late to create your Santa letter! See below to read what other customers have said.